Keep your maternity style on-trend with these blue denim jeans. 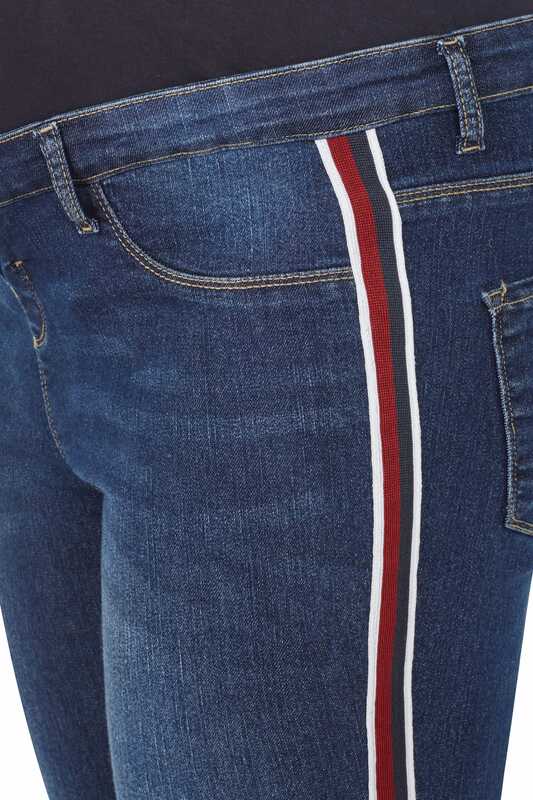 In a skinny leg fitting, they feature stylish sports striping down the legs, offering a nod to the athleisure trend. With an elasticated waistband for a comfortable wear, they are complete with a supportive stomach panel to give you and your bump a smooth silhouette. Simple and stylish, they're perfect for everyday wear.